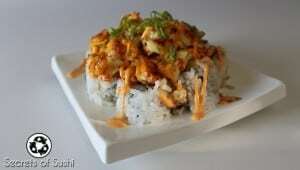 The Firecracker roll is a delightfully spicy sushi recipe. While full in flavor, the level of heat should not be taken lightly. 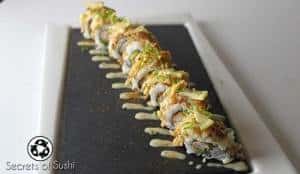 **Disclaimer- Due to tuna being on the sustainable sushi advisory list, it is highly recommended that tuna be avoided (canned tuna as well). Tuna populations, world wide, have dropped by 70%. 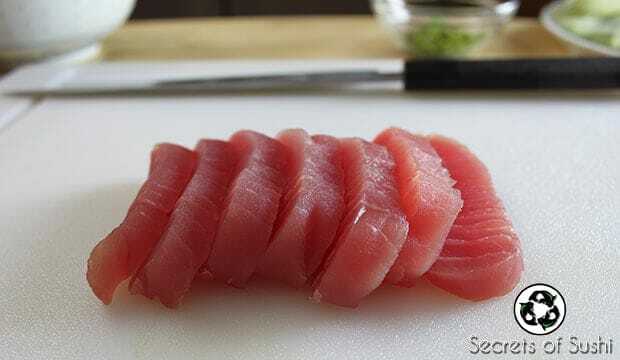 The only types of tuna considered to be sustainable is troll or pole-caught Big Eye, Yellowfin, and Skipjack. 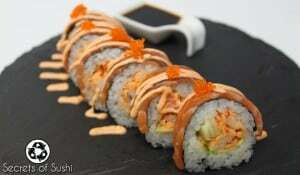 Why would you teach us how to make a roll with tuna in it if it is on the sustainable sushi advisory list? The first step to solving a problem is to identify that it IS a problem. 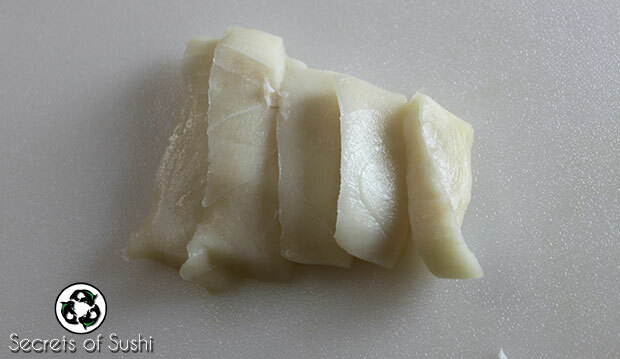 Did you know about tuna being on the advisory list before reading this article? Knowledge is power and now you have the power to make a difference in the industry by only supporting troll or pole-caught tuna! 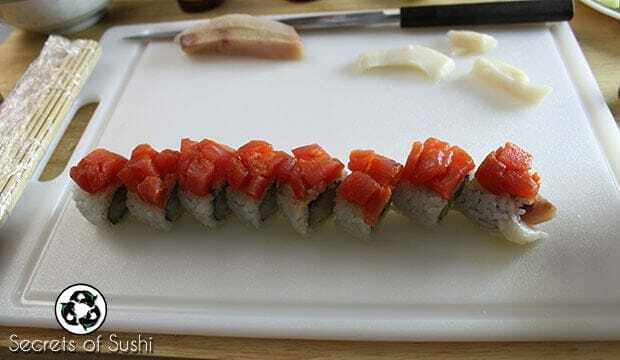 This recipe makes 2-3 uramaki rolls. 1. 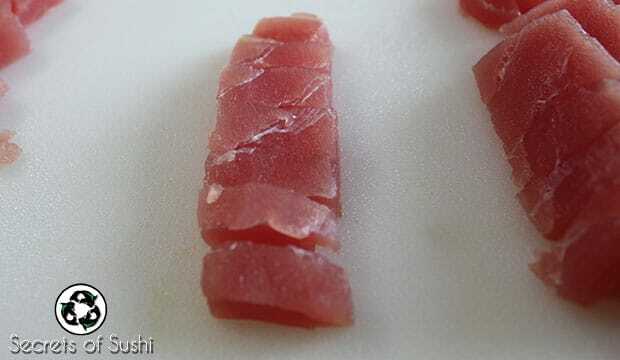 Slice your piece of Big-Eye tuna into 1 cm slices. 4. 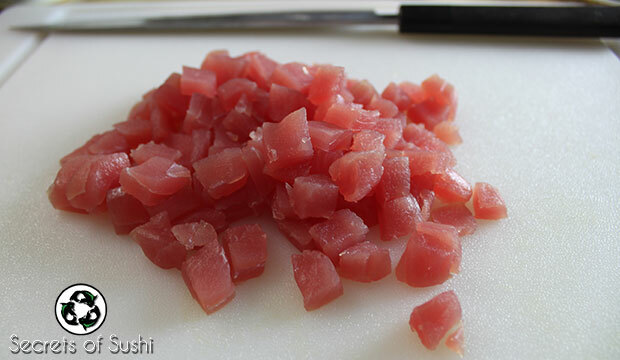 Add your tuna to a mixing bowl with 1 Tbsp (5ml) of chili sauce, 1/4 Tsp (1.25 ml) of Shichimi Togarashi, and 1/4 Tsp (1.25ml) of Sesame oil. 5. 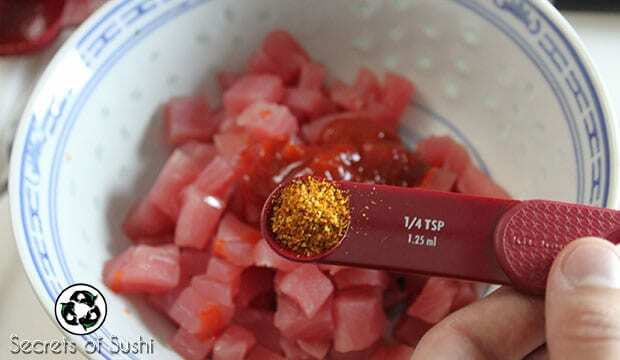 Using a spoon, mix all of the ingredients together. Make sure that everything is spread evenly! 1. 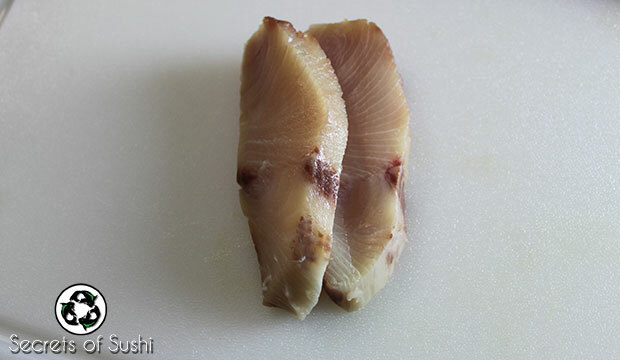 Slice your Yellowtail and Escolar into 1cm slices. After that, slice them in half again, lengthwise. 2. 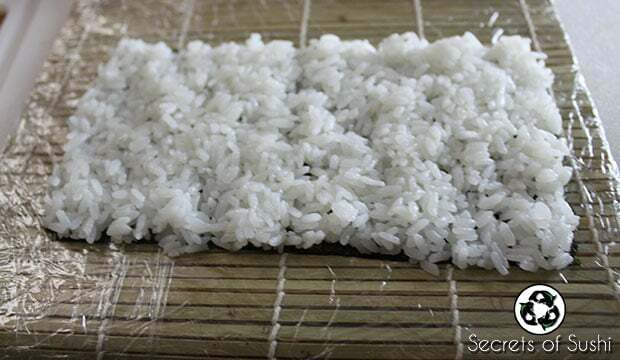 Apply a handful of rice to the rough side of a half-cut sheet of nori. 4. 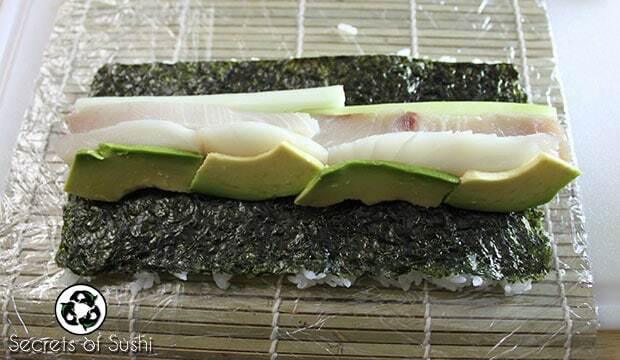 Add your cucumber and avocado slices. 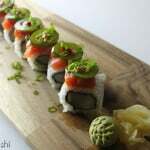 For detailed instructions on how to cut these vegetables, check out my article on the Futomaki roll. 5. 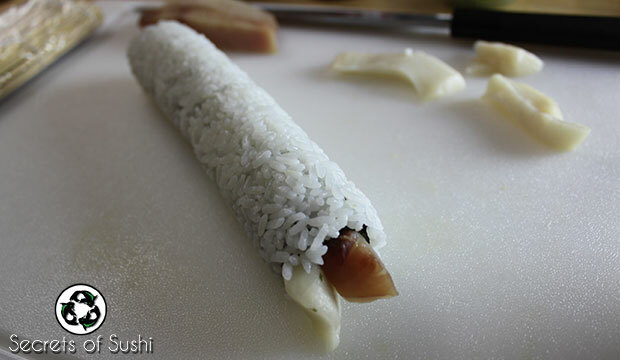 Using your thumbs underneath the makisu and your fingers to hold the ingredients in place, roll everything together. 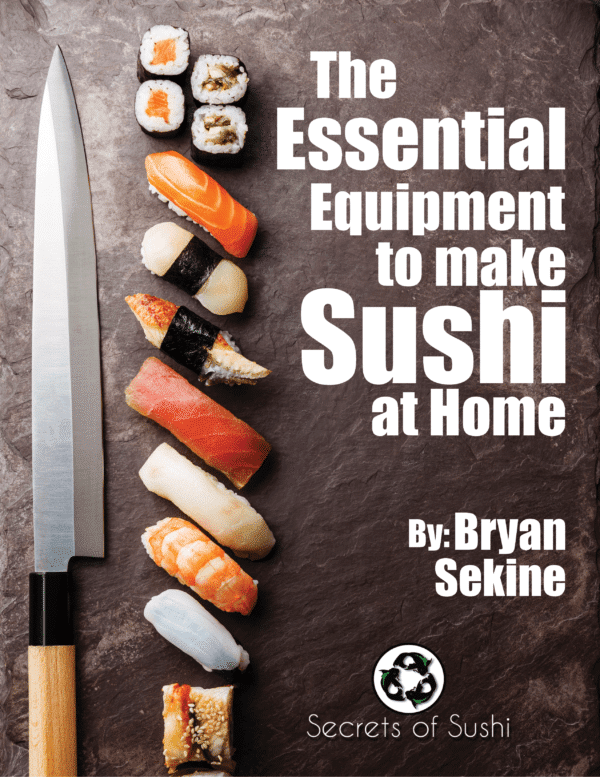 You can click on my tutorial on How to Roll Sushi for more detailed instructions on the rolling process. 6. 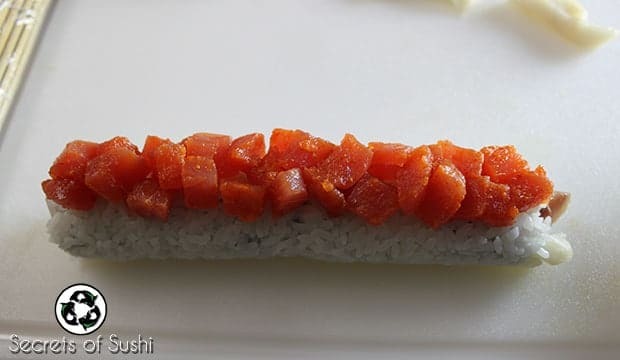 Add a 1cm thick layer of spicy tuna on top of the roll. Be careful not to so much that it falls off the sides! 7. 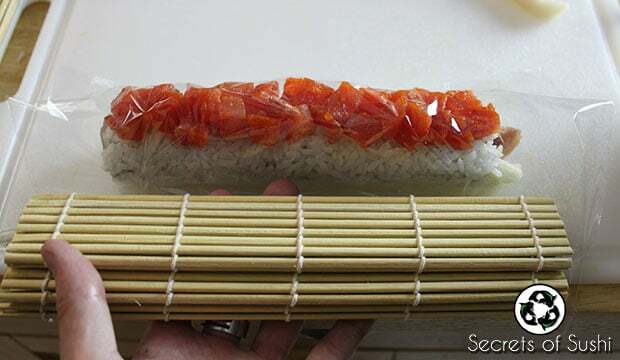 Add a 4-5 inch (13 cm) piece of cellophane wrap to the top of the roll and grab your unwrapped makisu. 8. 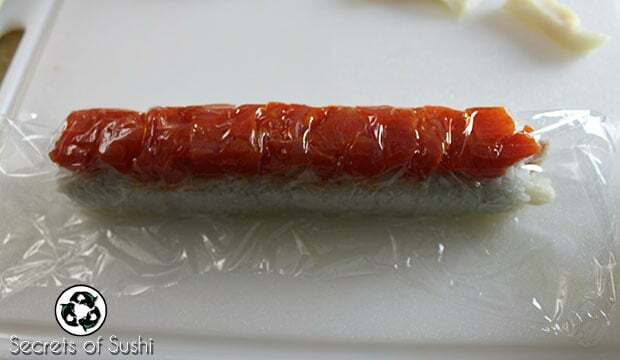 Using the unwrapped makisu, gently press down on the top of the roll to ensure that the spicy tuna stays in place while cutting. 9. 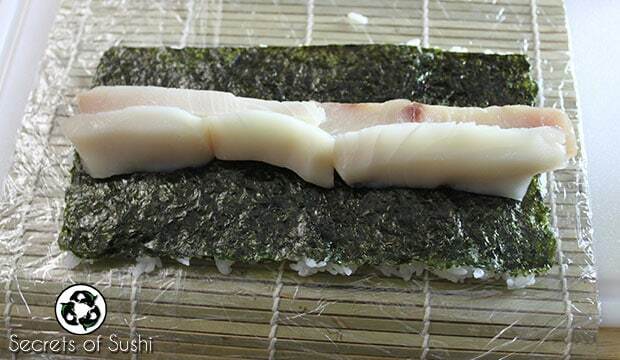 Slice the roll into 8 even pieces. 10. 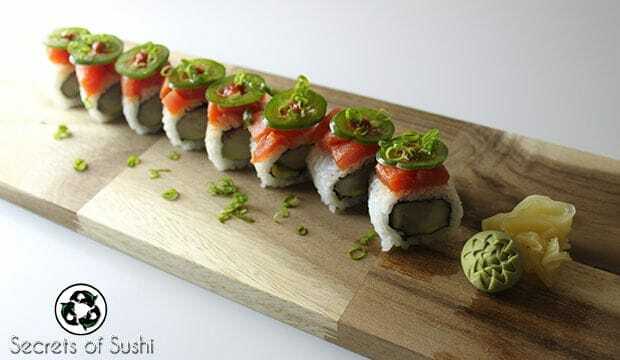 Lastly, slice 8 pieces of jalapeno and place one on each piece of sushi. 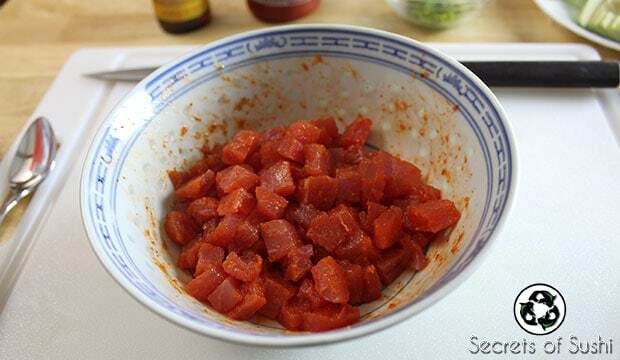 Then you can garnish with dots of chili sauce and chopped green onions. Don’t forget to add your wasabi and pickled ginger. 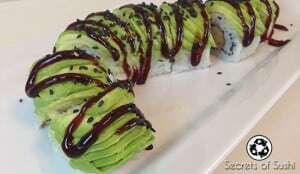 Enjoy your Firecracker roll! Questions? Comments? Let me know what you think in the comments sections below.